Solid Adirondack Spruce Top, Solid Mahogany Back & Sides, Ebony Fingerboard. 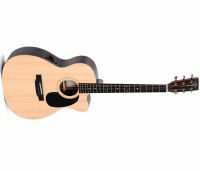 European Alpine Spruce Top, Solid Blackwood Back & Sides, Mahogany Neck, Solid Black Ebony Fingerboard. 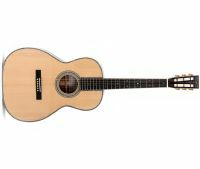 The Sigma 00M-15S features a classic Parlour body shape with a solid Spruce top. 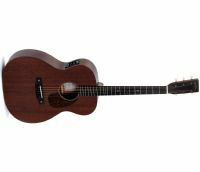 Back and sides are made with mahogany, the mahogany neck is finished with a Micarta fingerboard. 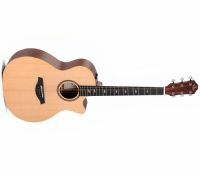 Sigma SE series 000-14 cutaway size electro acoustic featuring Tilia back and sides with a Solid Sitka Spruce top, Abalone torch headstock inlay and Herringbone rosette with built in Sigma pickup with tuner. 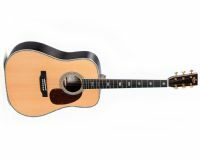 The Sigma GMCE Natural Western guitar impresses with a powerful sound image and its versatility offered at an incredible price to performance ratio. 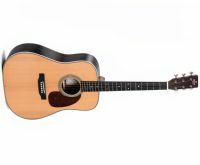 Sigma’s own CE 304 pickup is equipped, delivering dynamic and transparent sound on stage.